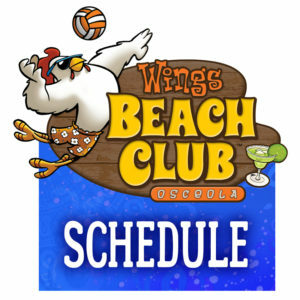 SIGN UP FOR 2019 BEACH VOLLEYBALL! Start by checking out our Schedule, or go right to the Shop, view the details and get signed up! Don't forget, for every two session 1 or 2 sessions you sign up for you'll get a $100 discount on any session 3 or 4! Wings Etc. is excited to be serving our friends in Osceola, Indiana, at 11480 McKinley Highway. Since 1994, Wings Etc. has been serving the greater Michiana area and we're thrilled to have been named "Best Wings" in the South Bend Tribune Reader's Poll for 23 STRAIGHT YEARS! 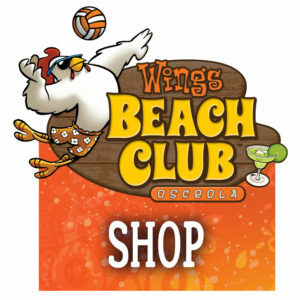 Right outside our doors is "Wings Beach Club", home to six lighted, regulation-size beach volleyball courts, an outdoor bar and patio, a large sandbox/play area and live music events during the Summer months.